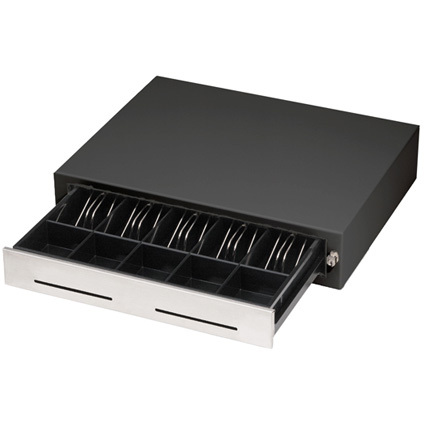 The MMF Heritage 240 cash drawer features two media slots on the front of the till, excellent for storing non-cash payments without opening the drawer. For printer- based operation, a quick-release cable interface allows for easy installation into varied point of sale environments. USB and Serial interfaces are also available to meet application requirements as needed. The MMF Heritage has reached end of life, with limited stock available. It has been replaced by the MMF Advantage.